Click the button below to add the The Andrea Neo-Palladian 125 to your wish list. Body Width = 53 3/4"
Leg width = 9 7/8"
Opening Width = 35 1/2"
Opening Height = 33 3/4"
Standard Return = 3 1/2"
Antique Marble Mantel Surround, Circa 1730. George II, English Neo-Palladian styling. 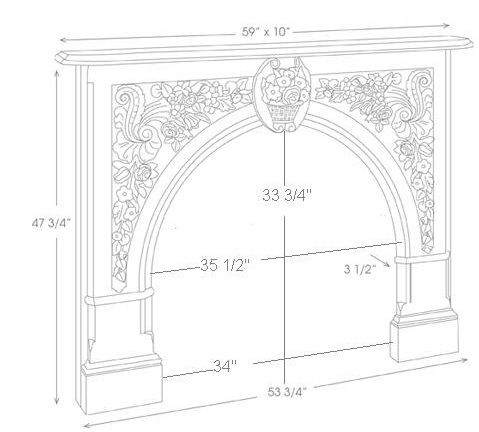 The Andrea #125 surround has a rounded arch, detailed florals and a centerpiece bouquet. May have been designed as an overmantel with mirrored glass (very expensive at the time) in the opening. Sometimes used as an overmantel for our 146, or alone as a decorative mantel. 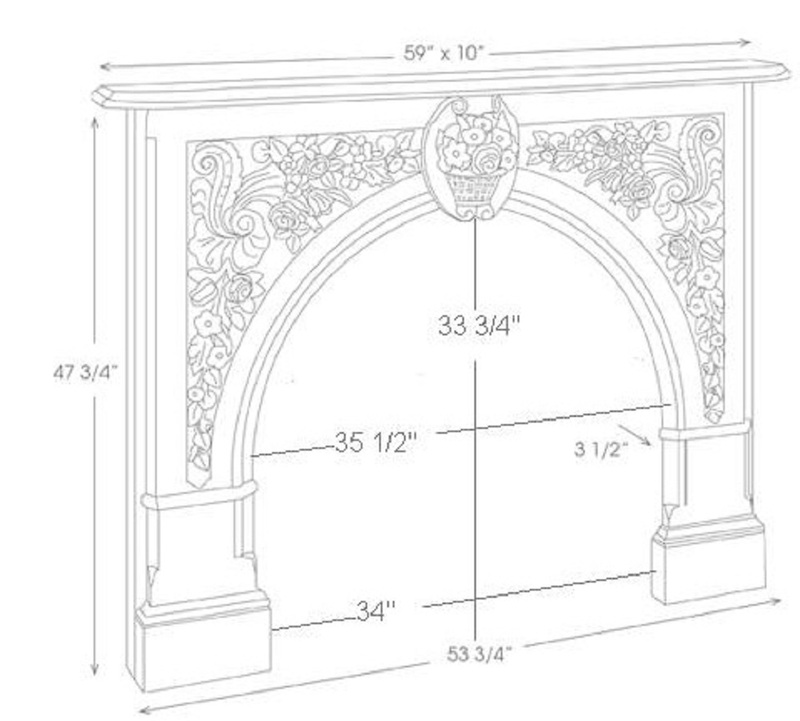 Note in particular the 34” opening width of this Heritage Mantel. Also note one of the alternate image shows the Andrea customized without the decorative center floral basket; call or use the contact us form (above) for details. Can be done in limestone or marble! Order the Optional Returns if your surround facing stone projects less than 3 1/2." Enter the Precise thickness of your facing if you order custom Returns. View the Heritage Marble Mantel Gallery.